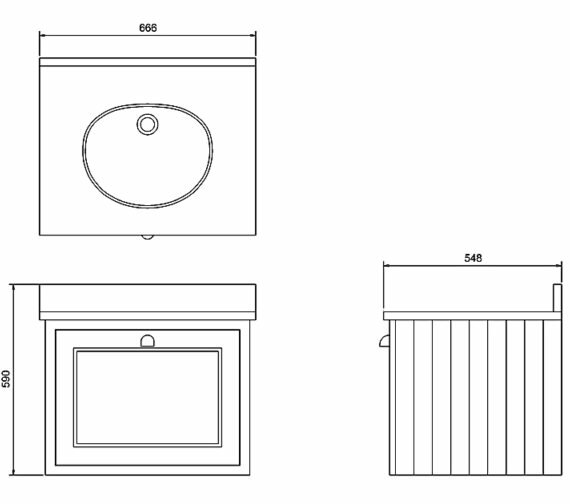 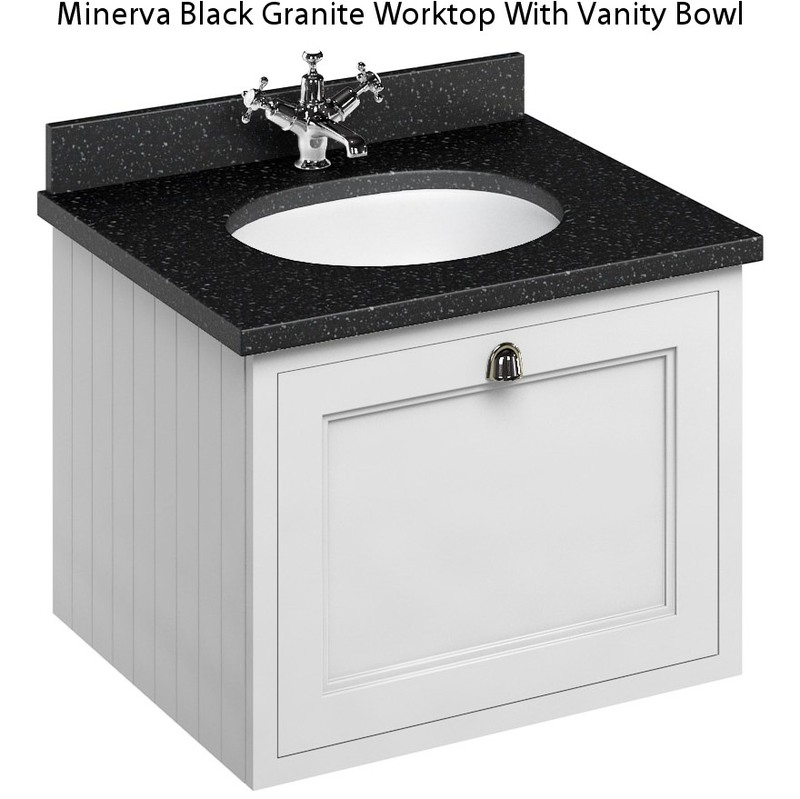 The Burlington Wall Hung Unit and Minerva Worktop with Basin have a traditional design, but its minimalism and application gives it a modern feel. 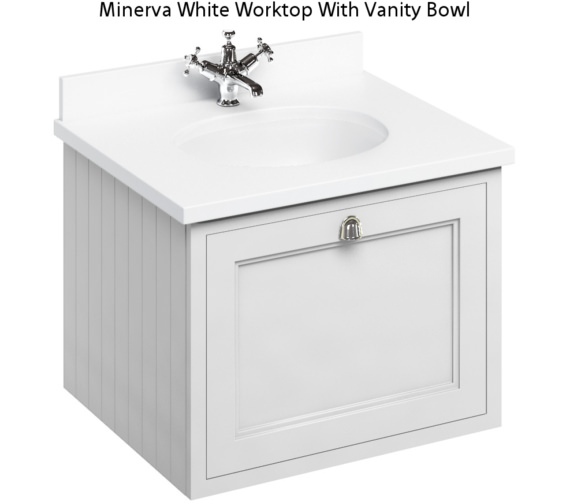 It is an effective way to combine base and wall units, and the use of the smooth white Minerva worktop gives it a streamlined and seamless look. 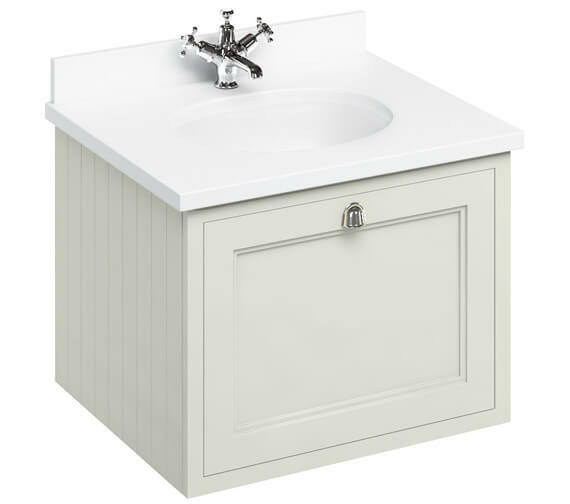 The single drawer with soft closing mechanism allows you to store your bathroom essentials and keep any visible clutter to an absolute minimum. 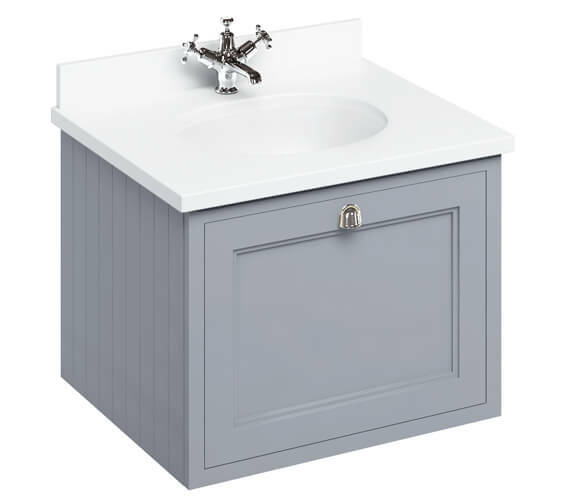 Manufactured using excellent quality wood, this furniture is given a UV stabilizer primer coating to prevent discolouration. 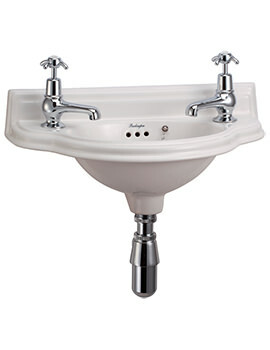 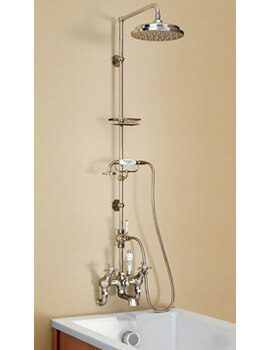 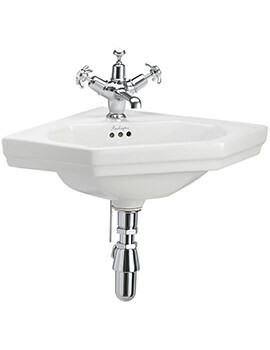 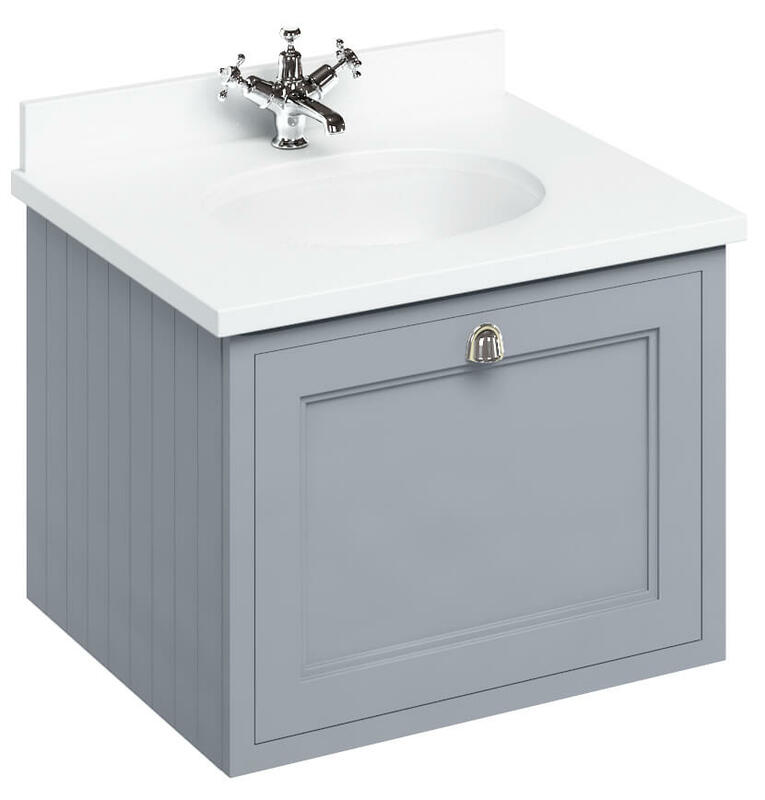 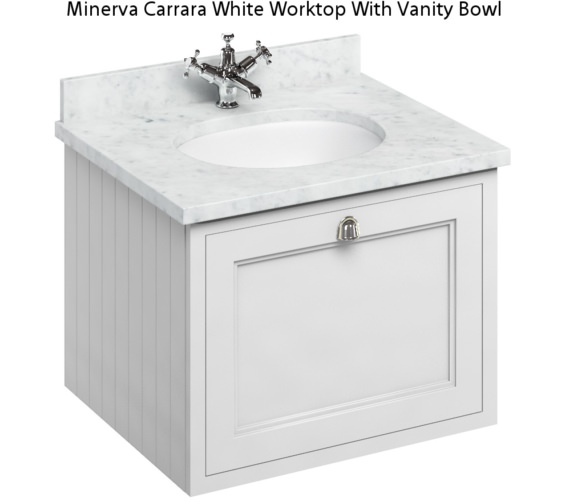 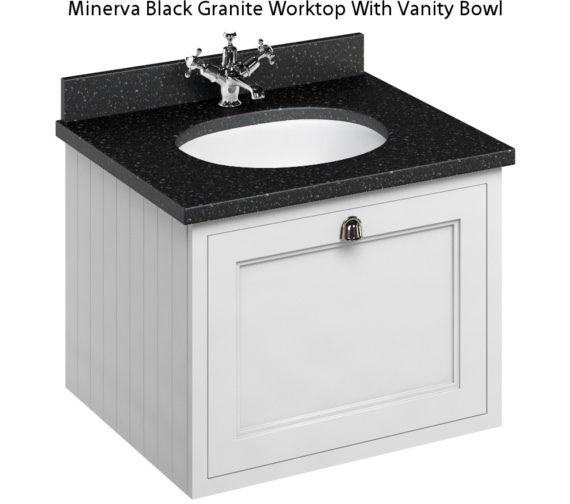 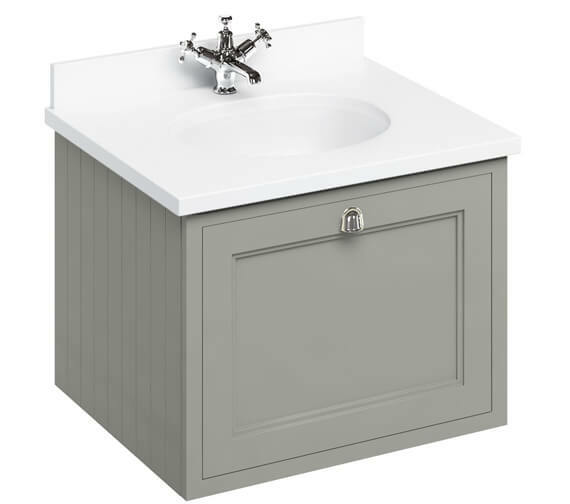 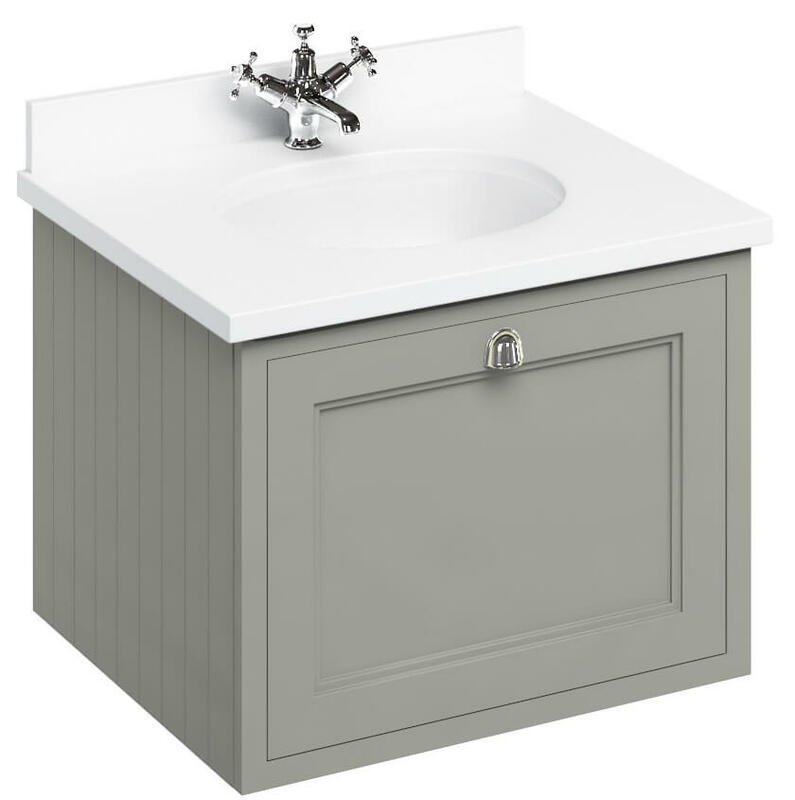 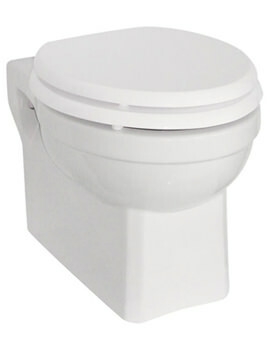 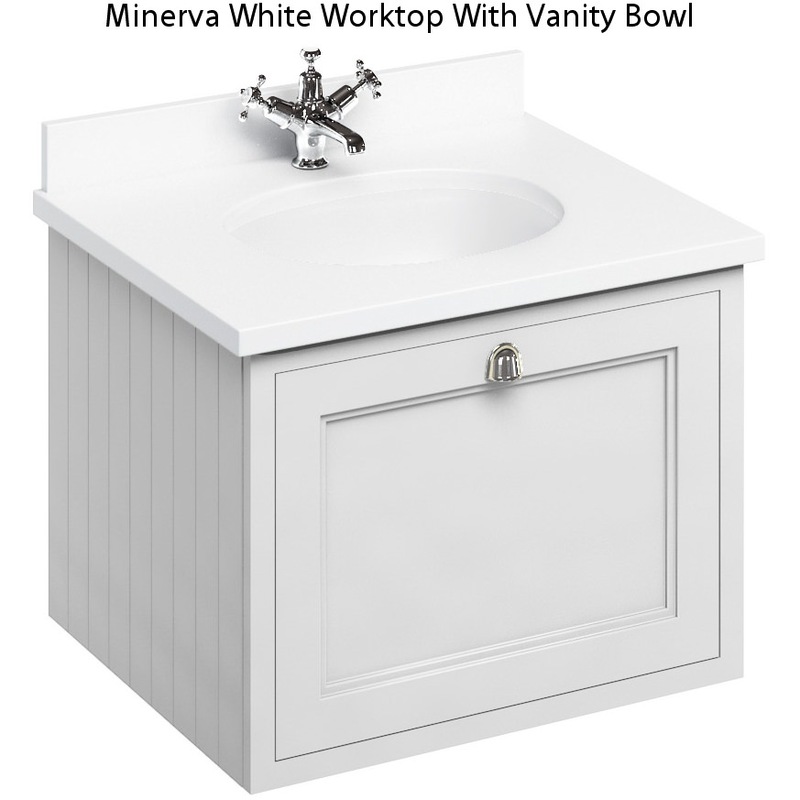 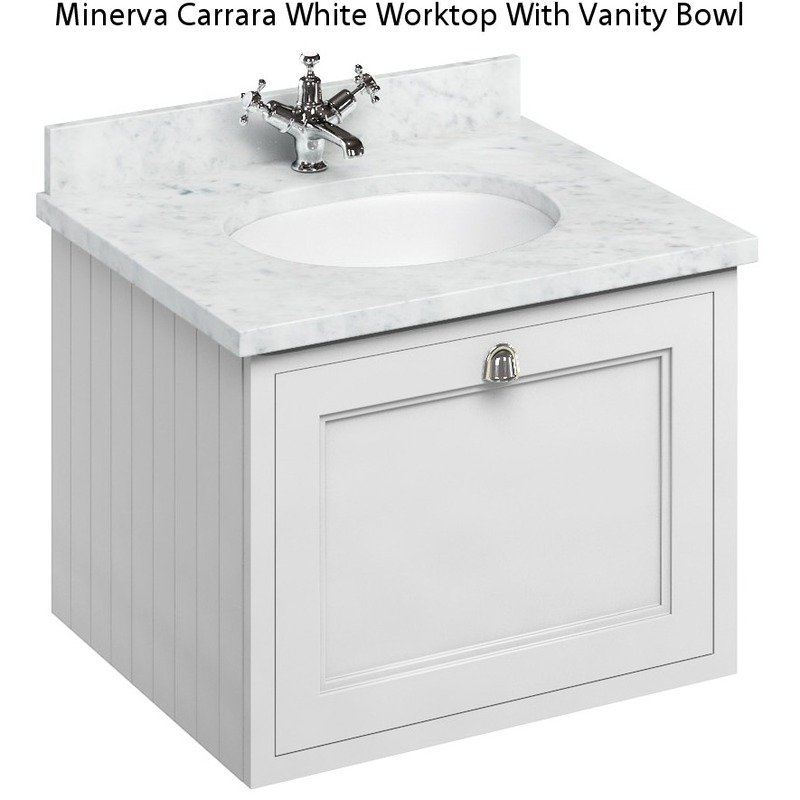 The vanity bowl is beautifully crafted in the worktop and comes with an overflow. 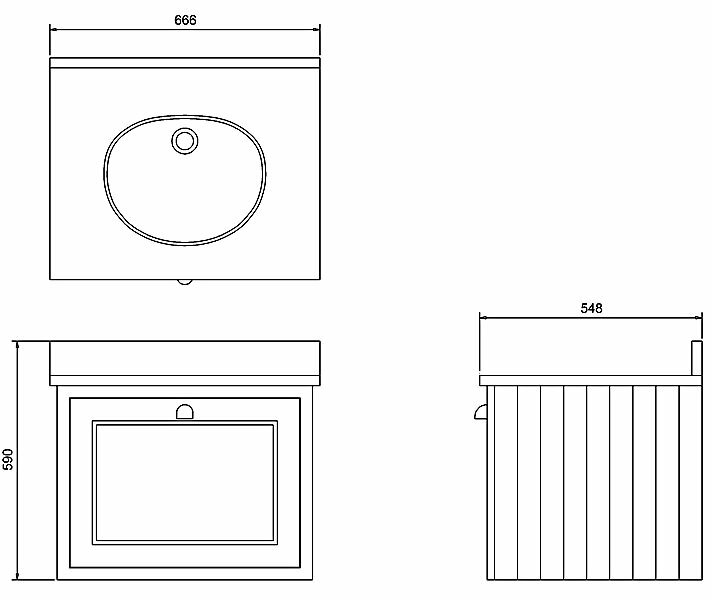 Download installations instruction PDF from technical tab.